Remarkable custom home on the 20th Hole of award winning Paako Golf course offering views and privacy! Gorgeous Tuscan home boasts Old World charm with luxurious amenities and detailed attention to quality throughout! Custom carved concrete mantle FP in Spacious great room with beam ceilings/built in entertainment area behind hand carved custom doors! GR flows into the formal dining room with dramatic chandelier! Ideal for entertaining! Absolutely exquisite chef's gourmet kitchen features custom Alder cabinetry/ gleaming granite slab counters/ Full-size subzero freezer and refrigerator! 2 ovens and micro! a built in smooth surface elec cooktop, gas option! Huge island with Tiffany style chandeliers! walk in pantry! Private office with hardwood floors beam ceilings! 3 Garage Spaces. Attached Garage, Street Parking, Finished Garage. Courtyard, Grill - Outdoors. Golf Course, Xeriscape, Wooded. 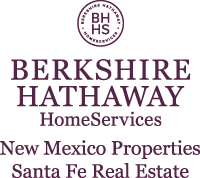 I am interested in 46 Raindance Road, Sandia Park, NM 87047. Sign up for Inside AccessTM to view recent sales near 46 Raindance Road.